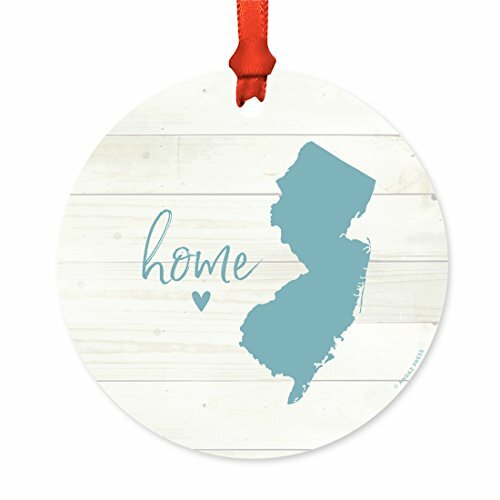 Do you love New Jersey and want to show it off with your Christmas tree ornaments and decorations? 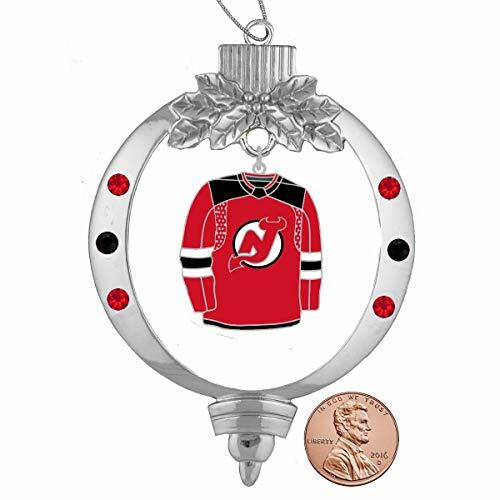 On this page I've compiled an extensive directory of New Jersey Christmas Ornaments celebrating the Garden State's sports teams, attractions, food and celebrities. From the New Jersey Devils to the "Jersey Shore", you'll find it all here, ready to make your Christmas just a little bit more, well, Jersey-style. You'll also find some cool facts and trivia about the state and more holiday fun and cheer for the season. This colorful New Jersey state ornament is made of mouth-blown glass and features the state flower (the Common meadow violet), the state bird (the Eastern goldfinch), and a lighthouse to celebrate the Jersey shore. 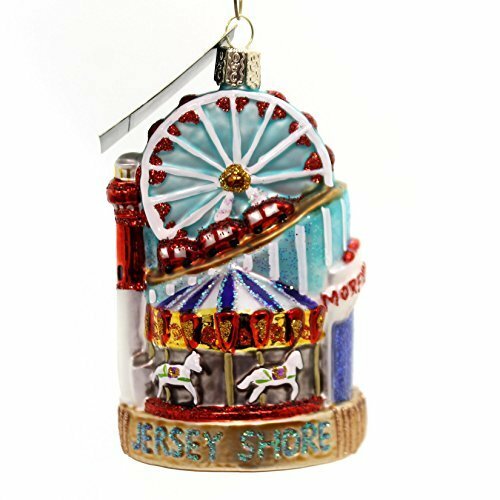 Bright and eye-catching, it would be a great-gift for anyone who is a lifelong resident of the state or just loves all things Jersey! This gorgeous commemorative ornament celebrates many Jersey landmarks and attractions, including Thomas Edison's Lab, the Pine Barrens, Molly Pitcher and of course Atlantic City! Comes in its own gift box, too! Molly Pitcher is the nickname given to the woman Mary Ludwig Hays McCauley, believed to have fought in the Battle of Monmouth during the American Revolutionary War. She has become a popular folklore hero and may or may not have been just one woman...instead, she may be a folklore composite of many women who carried water to soldiers on the battlefield. 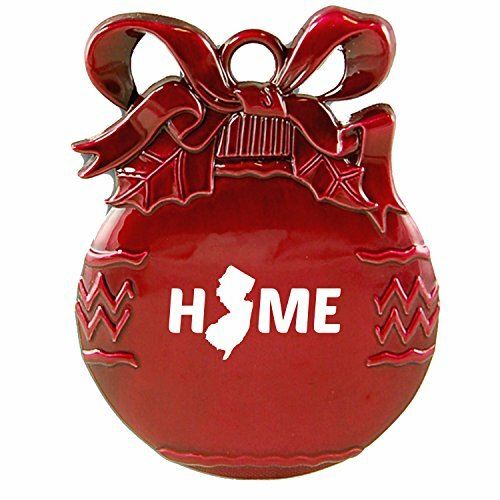 The above ornaments, made of wood and metal, showcase a variety of styles but all come in the shape of New Jersey state. 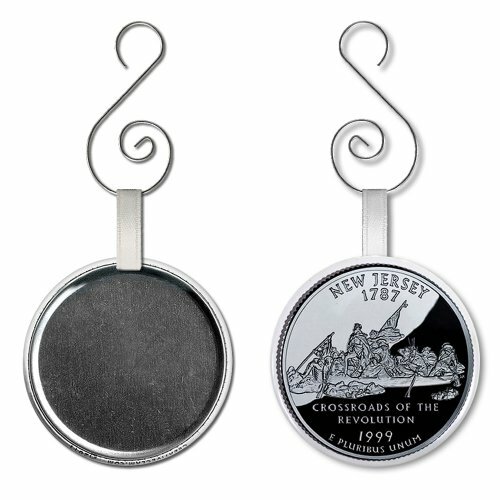 This ornament features the artwork found on the New Jersey state quarter, on an attractive hook for easy hanging on your tree...or elsewhere! The New Jersey state quarter features a rendition of the famous Washington Crossing the Delaware painting by German-American artist Emanuel Gottlieb Leutze. 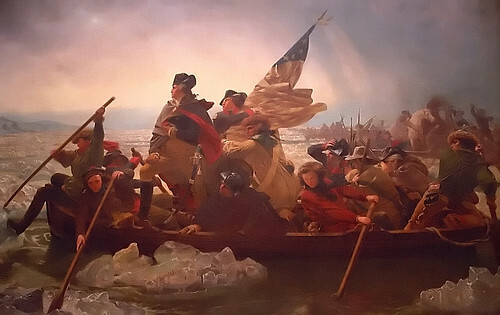 The painting commemorates the famous Battle of Trenton during the Revolutionary War, when General Washington lead a surprise attack against the Hessian forces. His night crossing of the Delaware took place on Christmas night, December 25-26, 1776. Do you know someone who has just bought a new home in Jersey this year? 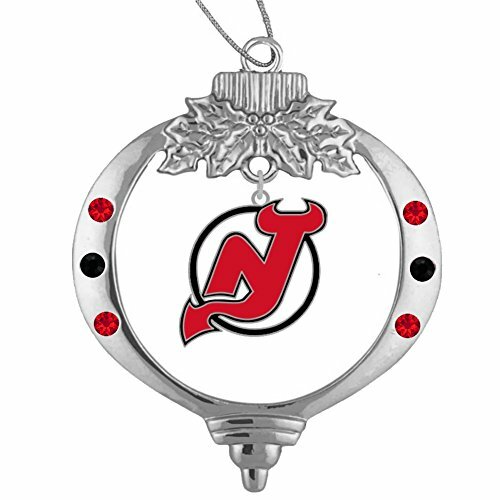 Help them celebrate their first Jersey-style Christmas with one of these lovely ornaments. They'll make for great keepsakes and collectibles, whether for a newly-married couple or anyone who has moved to the state for the first time. 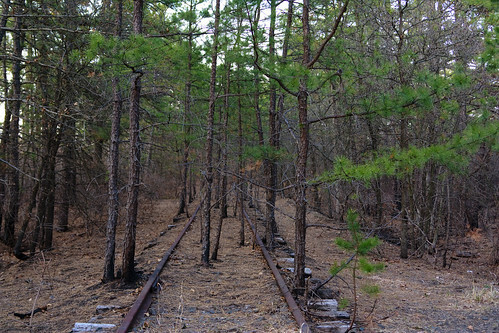 Would you move to New Jersey? 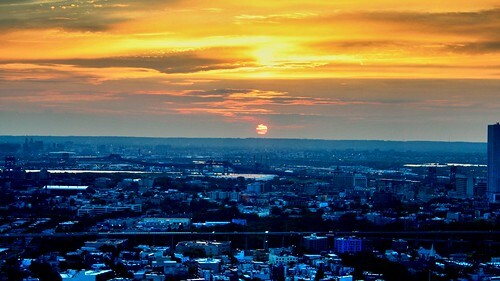 I'm proud to say I already live here and love it! Are you kidding? I live here already and want to get out if possible! New Jersey has more diners than anywhere else, and is indeed known as the "Diner Capital of the World" for good reason. Who can resist a Jersey diner meal when on the road...don't forget the Disco Fries! The very first drive-in movie theater was opened in Camden, New Jersey, in 1933. The first officially recognized and recorded baseball game took place in Hoboken, New Jersey, on June 19, 1846. You can thank New Jersey for that mysterious yet delicious "mystery meat" concoction known as Taylor Ham - or Pork Roll, depending on which part of the state you come from. Less impressively, New Jersey has 108 toxic waste dumps - the most of any state in the U.S.
New Jersey also is notable for having the highest property taxes in all of the U.S.—something most home owners aren't exactly thrilled about. 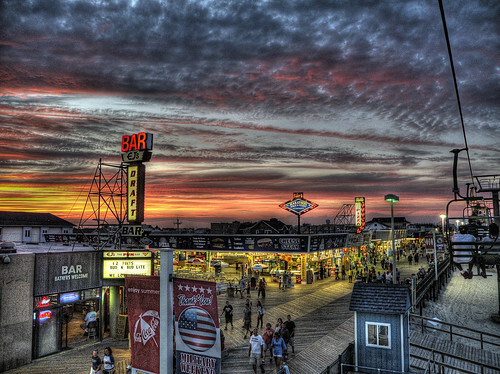 Atlantic City, New Jersey's boardwalk is the longest in the world. 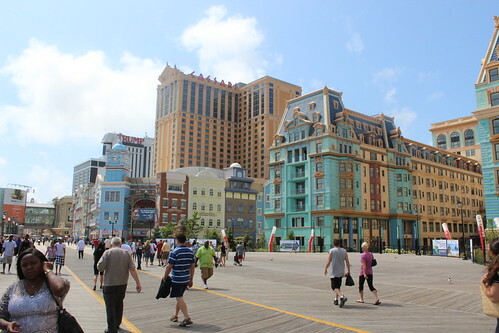 New Jersey has more than 50 resort cities and towns, along with Atlantic City, and some of the nations most famous: Asbury park, Wildwood, Seaside Heights, and Cape May, to name a few. Despite all of those roads and highways, there are no self-service gas stations in the state. Indeed, it is against the law to pump your own gas in New Jersey! 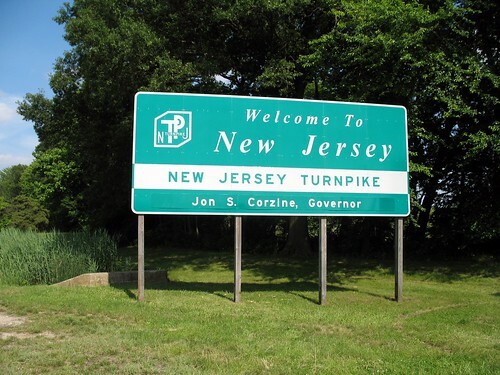 Famous people from New Jersey include Whitney Houston, Bruce Springsteen, Danny DeVito, Steve Forbes, Ricky Nelson, and Frank Sinatra. Carnival rides, walks along the boardwalk, sunbathing and swimming at the beaches...a summer spent on the Jersey shore is something many families enjoy. Here's a great ornament for any "Shore Bird" you might know, whether they just rent out a place on the weekends or maybe own their own shore home. Made of glass it will be a real keepsake and treasure, as well as a conversation piece! Bid on these hot collectibles on eBay today! Fan of MTV's "Jersey Shore"? Then you can't miss getting these Christmas ornaments for your tree! From fan-made creations to highly collectible figures, there's a wide selection available on eBay. The "Jersey Shore" TV show ran for five seasons, from 2009-2012, and was always stirring up controversy and debate. Some people disliked the way it presented shore life and those of Italian-American heritage in the state. Others just thought it was good, dumb fun. Either way, it became MTV's biggest series success to date and launched many a catch-phrase into our common lexicon. Jersey Shore: Love It Or Hate It? Love Jersey sports? Then show it off with these Christmas ornaments! Sports are big in New Jersey—although confoundingly, several of the biggest teams that play sports in the state "claim" to be New York teams! (I'm side-eyeing you, Giants, Jets and Red Bulls...) The Devils are NJ's popular Major League Hockey team, and several colleges and universities have popular sports programs including Rutgers, Princeton and Seton Hall. 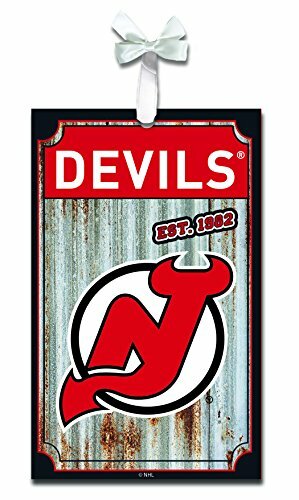 Are you a fan of The New Jersey Devils hockey team? If so, then you definitely need some team-themed ornaments for your Christmas tree. These ornaments would make great gifts for other fans as well. You might not know that the club was actually formed as the Kansas City Scouts in 1974, then moved to Denver, Colorado for 2 seasons before coming to Jersey as the Devils in 1982. After a slow start, the team has gone on to be a strong contender, making it to the Stanley Cup Playoffs in all but three times between 1988 and 2012. 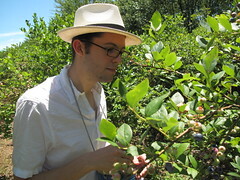 You can learn more about the team's history at Wikipedia. 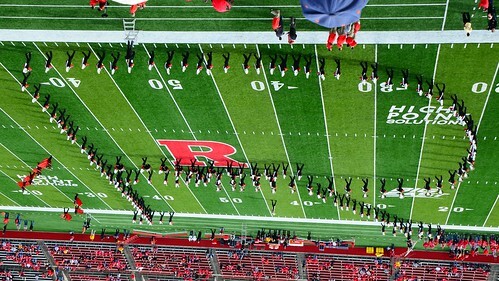 Rutgers is big in New Jersey - very big! In fact it's the largest institution for higher learning in the entire state. It was originally chartered as "Queen's College" all the way back in 1766, making it the 8th oldest college in all of the United States. 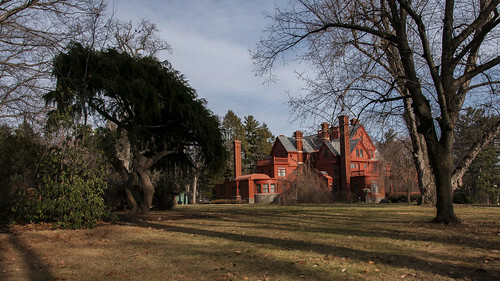 Seven alumni of the school have served as New Jersey governor and celebrities who graduated from Rutgers include James Gandolfini, Avery Brooks, and Mario Batali. If you went to Rutgers yourself or perhaps have a child attending the university, you can show off your school pride with these great Christmas ornaments in the school colors, celebrating Rutgers sports and academics. Our - Rutgers University - pewter ornament hangs beautifully by a silver cord. This quality laseretched piece will be a holiday decoration for many seasons to come. Our Rutgers University pewter ornament hangs beautifully by a silver cord. This quality laser-etched piece will be a holiday decoration for many seasons to come. 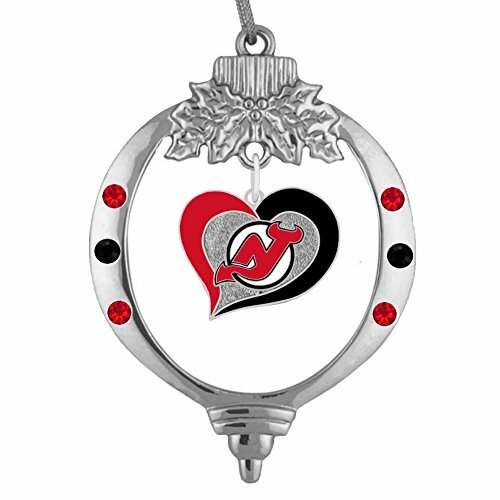 Celebrate Christmas in 2014 & shop New Jersey Christmas ornaments. 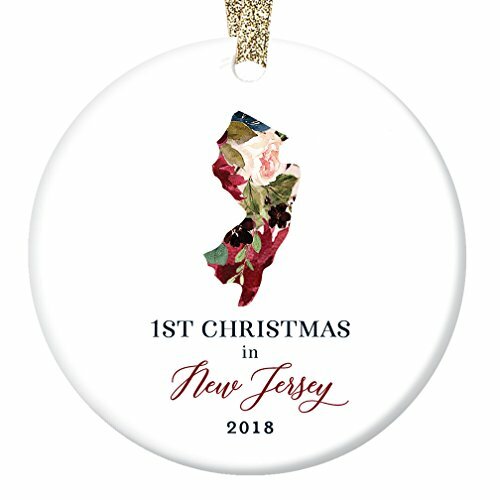 Large selection of unique decorative New Jersey Christmas designs, or personalize your own ornament! New Jersey Christmas ornaments on Etsy, a global handmade and vintage marketplace. Etsy is a great place to search for unique, handmade Christmas ornaments! 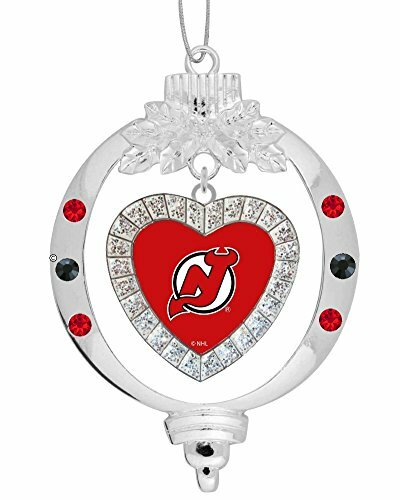 You'll find Jersey ornaments that are hand painted, knit, cut from wood, made from metal...just take a look at the variety of cute designs available! Are you ready for a very Jersey Christmas now? 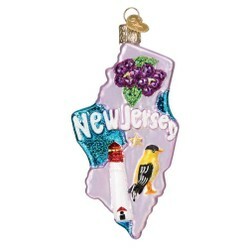 I am amazed with the wide variety of Christmas ornaments, the New Jersey ornaments will certainly liked by people who love history, wild life and the landscapes of New Jersey.